Designed to handle abuse, the 1,620g wheels feature wide rims (23mm internal) to better support broad tires. For reference, most road wheels these days are about 16mm internally, which works well with 23-28 tires. 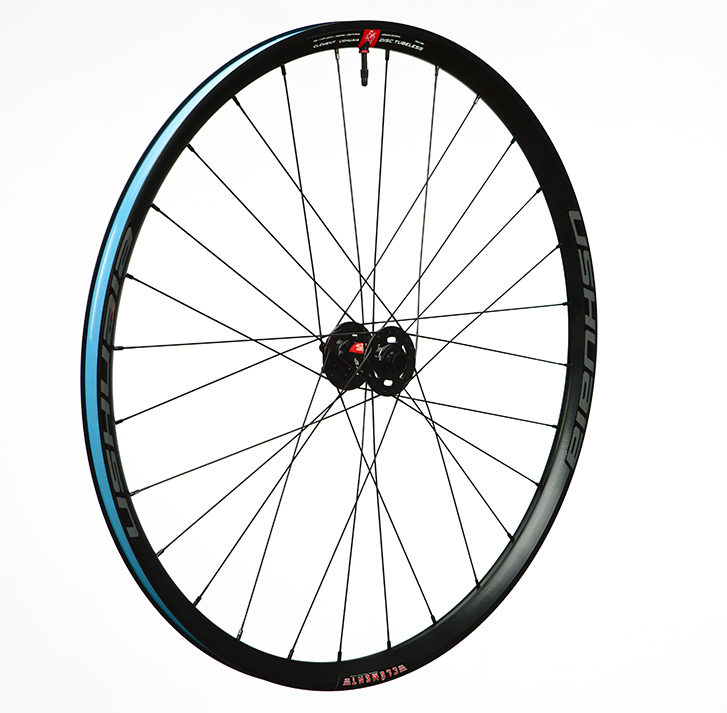 Clément’s alloy Ushuaia, with a hookless tubeless rim, can handle everything from 28mm up to a monstrous 50mm. To help prevent burping, the rim bed has a small lip to keep the tire pressed up against the rim. 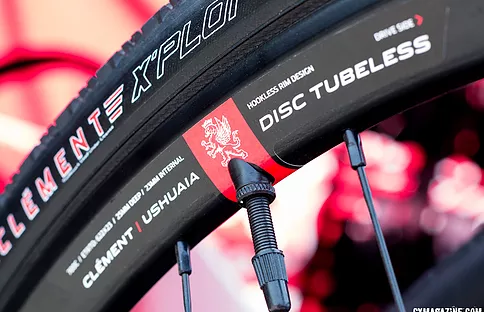 The wheels can be used with clincher tires, but they come with tubeless valves and rim tape; you’ll just need sealant and tubeless tires, from Clément or any other brand. While fairly specific in purpose — namely getting rowdy on drop-bar bikes — the Ushuaia wheels are broad in compatibility. 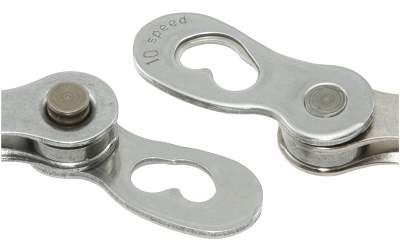 To mate with frames, the wheels work with quick-release and thru-axle (including 142x12mm rear as well as 135x15mm) with thread-on end caps. And to mate with rotors, the wheels are Centerlock or six-bolt, to play nice with Shimano and SRAM.They can also accommodate SRAM's XD driver for use with a 10t cassette.